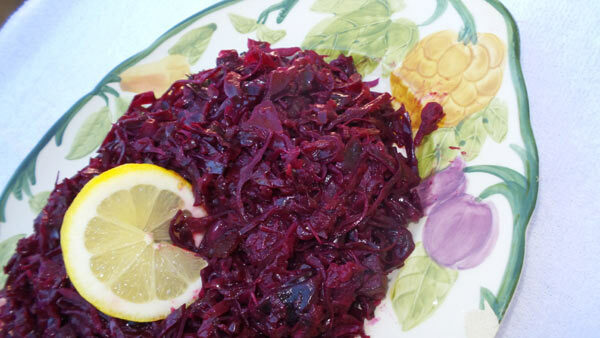 Good food is one focus of Oktoberfest and a German or Bavarian meal is just not complete without red cabbage. It’s delicious, nutritious and adds so much color to your table. Ahhh but there is a secret to preserving that beautiful red color. Use enameled or stainless steel equipment because cast iron or aluminum will cause the cabbage to lose its red color and turn an unappetizing blue/grey. Once cabbage is a bit wilted, add remaining ingredients, stir and let simmer until cabbage is soft. I cover the pan with the lid tilted so some steam can escape. Keep some orange juice on hand should the pan dry out add a ¼ cup at a time whenever dry to be sure it doesn’t burn on the bottom. 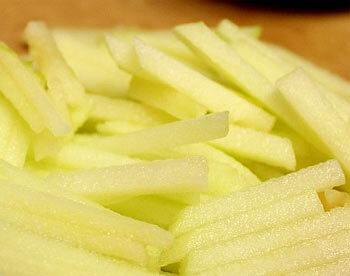 When cabbage is the texture that you like, some like it very soft, some firm, remove from heat and serve.